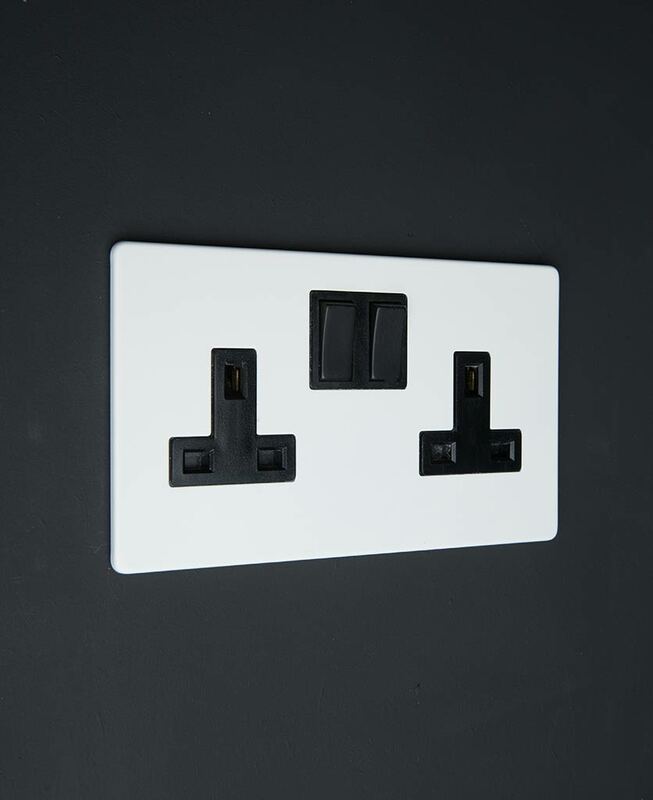 We know it’s still a white double plug socket but upgrading your standard plastic ones for our lovely satin finish white 2 gang socket will do wonders for your interior. With smooth lines and concealed fittings it’s perfect the complete minimalist look. You may well ask, “What’s the point of replacing white sockets, with more white sockets”… Good question. One of team D&R has just done exactly that in a newly refurb’ed kitchen. 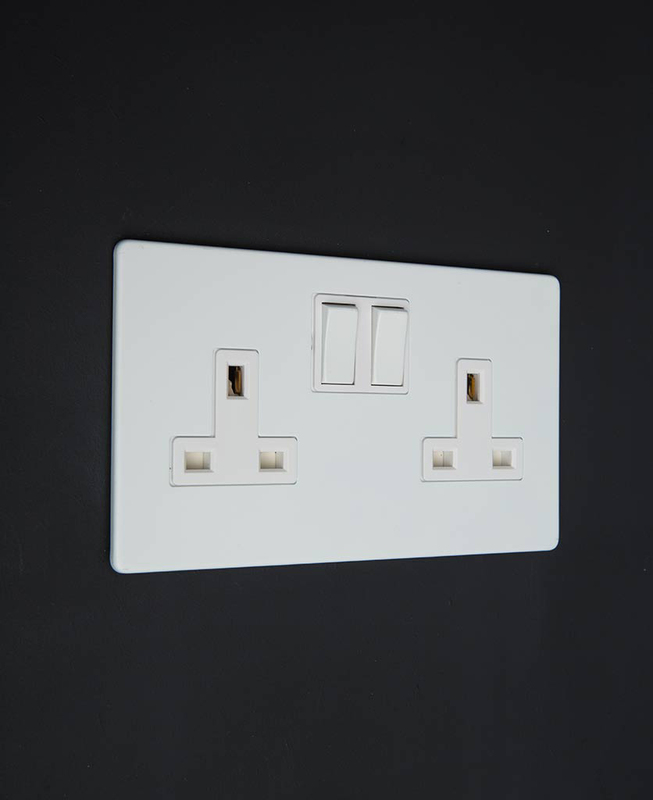 If you’ve got white tiled walls with visible wall sockets you want the very minimum of disruption to your beautiful clean lines and that’s where our perfectly plain white double plug socket comes in. It’s nice and flat so doesn’t stand out a mile from your wall and its white satin finish is very sleek. It also looks high-end designer rather than bargain basement and when you’ve spent thousands on a new kitchen, it’s vital to invest in good fixtures. 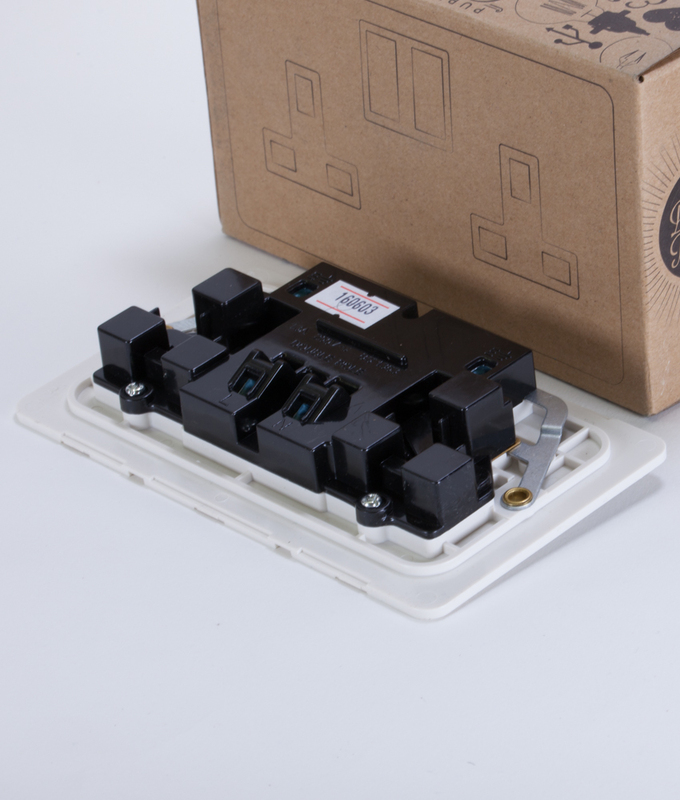 Our white double plug socket is perfect for any industrial style interior. 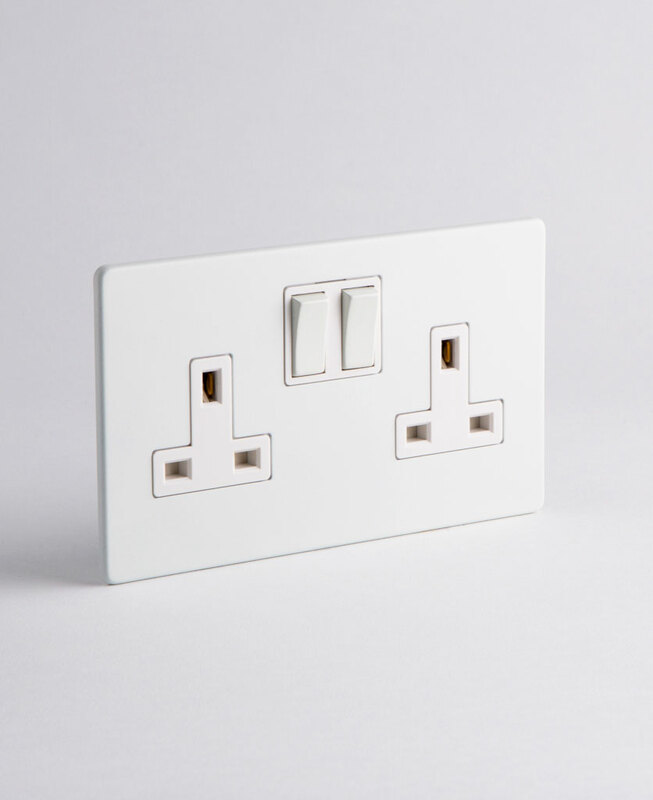 These white satin finish sockets are particularly well suited to a minimalist aesthetic. They’re simple yet sleek and will either merge into your wall or become a feature of your décor depending on what colour wall you fit them on. If you’re interior features white factory style table lamps, then these are just the sockets to plug them into. Our purely minimalist white double plug socket was designed by us here at Dowsing & Reynolds so it’s exclusive to us and only we sell it. If you love this white satin finish socket, have a quick browse around our other white lighting accessories. The range includes some uber slick light switches; dimmers and toggles.